When an individual thinks of San Antonio, Texas this is one of the places he or she immediately envisions. SeaWorld San Antonio is a vast theme park that is far more than a simple place to see stunning orcas or playful, chattering dolphins. SeaWorld San Antonio is, instead, a world in which land dwellers can take part in the wonders of the sea; all at an affordable price and through a mountain of fun and exciting interaction. In many ways SeaWorld San Antonio is the prized jewel of the city and many travel from all over the world just to visit this aquatic amusement park and take part in its many offerings. Those that visit SeaWorld San Antonio can see the well known Shamu show, or enjoy attractions that are catered just for young children. There are also many different rides one can go on, such as the Great White, or the electrifying Steel Eel. 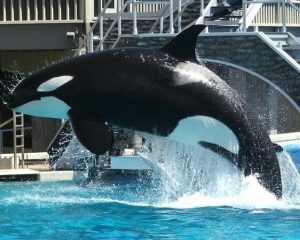 Many visitors simply go just to see the animals that SeaWorld San Antonio offers and those that do will not park area. be disappointed. Many interactions are available with the price of admission, and although some cost additional fees, such as interacting with the Beluga Whales, the prices are well worth it for this once in a lifetime opportunity. A subsection of the park Aquatica offers much more to see and do. There are additional rides, more animal interactions, such as with the Sting Rays, as well as even more heart pounding rides and slides in the expansive water.